This is the well-known “foam rot” problem seen in woofers and other high-compliance drivers of similar age. A few decades ago, speaker manufacturers started using a glued-on ring of shaped foam in place of the concentric corrugated cardboard surround on hifi speaker woofers, presumably to reduce distortion, especially at high excursion amplitudes. Unfortunately, the use of this foam has a recomplicating effect; it tends to decay away in 20 or so years, rendering the woofers useless. (The foam is apparently far from stable, which is good reason also to wear gloves when doing this repair; I don’t know the composition or the decay products.) Fortunately, there is an easy solution; there are many vendors of new, precise-fitting woofer foam, and the repair can be done quickly. 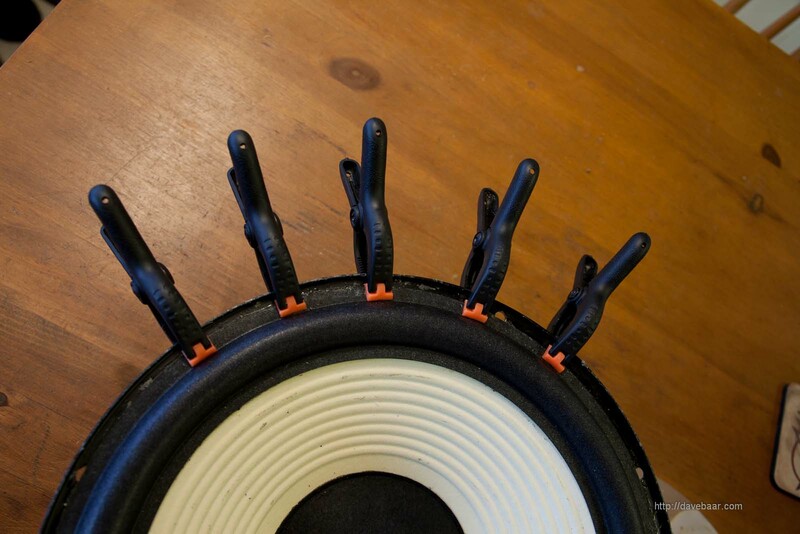 First, you need to seek out replacement shaped foam ring to fit your specific woofers. The key is to match the various diameters involved. 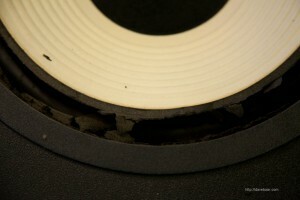 From inside to outside, these are the inner diameter where the overlap of the foam and woofer cone ends, the outer woofer cone diameter where typically the curved topology of the foam (the actual compliant suspension begins), then the outer diameter of that suspension adjacent to the woofer metal frame, and finally the outer diameter of the foam. Those diameters, especially the inner two, all need to match your specific woofers to better than 0.25mm, I’d estimate. There are many vendors of such foam to be found on sites such as eBay and Amazon, as well as electronic parts suppliers such as Parts Express. Some vendors supply also glue with the foam in kits, but I have a good supply of glues, so I elected to buy just the foam. I found a reputable vendor on eBay, “speakerguy2002″, and was happy with the parts I received ($8.95 for the pair). The first step in the repair is to fully remove the woofer from the speaker enclosure. This requires moving the mounting screws and disconnecting (possibly desoldering) the connectors from the woofer. In my case, I also needed to pry off the “pretty ring” covering up the screw heads. Others doing this repair have needed to use a hair dryer to weaken the glue on the pretty ring but in my case it pulled off easily. While you’ve got the innards of the speaker enclosure exposed, you can take this opportunity to check for problems like leaky electrolytic capacitors used in crossovers (mine had none). Removal of the "Pretty Ring"
The next step is to clean away the old foam. I avoided using any solvents at this stage, and found that was able to just gently but thoroughly rub away the old foam with my fingers (wearing protective plastic gloves to keep the gummy old foam off my hands). I vacuumed the area frequently during this stage to remove loose foam bits; there were a lot of those. The cleaning job doesn’t need to be perfect but you need to remove the old foam to reveal a surface for gluing to. 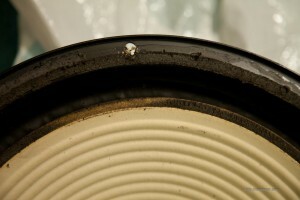 You can see a partially cleaned cone in the following intermediate photo. For gluing the foam to the cone, I used Elmer’s safety glue, and for gluing the foam to the metal woofer frame, I used a thin contact cement. I picked contact cement for the gluing to the metal because I had found in tests that Elmer’s did not adhere to the painted metal well, whereas the contact cement worked great. The contact cement I used was a thin, transparent one for photo mounting, but most other general purpose contact cements should be fine. You just don’t want a really thick one, so as to have a fairly uniform seal. Work with them in a well-ventilated area due to the vapours that they give off, and don’t inhale directly over the glue. I applied glue to the cone first and attached the foam to that, then moved on to the other woofer of the pair while the first glue on the first woofer set to some degree. Next, I did the contact cement gluing of foam to the frame. Prior to doing that, I had checked that the cone + voice coil traveled freely up and down in its suspension without interference, by applying balanced finger pressure and also by applying a low voltage supply from a variable DC supply. 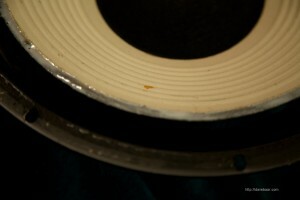 Other folks have often gone to the trouble to remove the dust cap that is typically centred on the woofer to work on the voicecoil alignment, but my tests showed the alignment to be OK with no interference in the cone movement; this was a quick job on low end freebie speakers, so I didn’t bother with that alignment effort in this case. Worth looking into, but in this case the end result was fine without it. During the contact cement stage, I glued diametrically opposite points and worked around the circumference, so as to maintain balance of the cone and not mess up the voice coil alignment. I found some cheap spring clamps that I’ve used in many other projects helpful for holding the foam in place on the frame while the glue set overnight. I shuffled the clamps around the perimeter after initial contact to make sure of a fully contacted seal all the way around. I was happy with the end product. The speakers sound great paired with my free Hitachi receiver from this earlier post, although I don’t generally don’t play them loud enough to offend our large 4-footed woofer, the Gimli Bear. 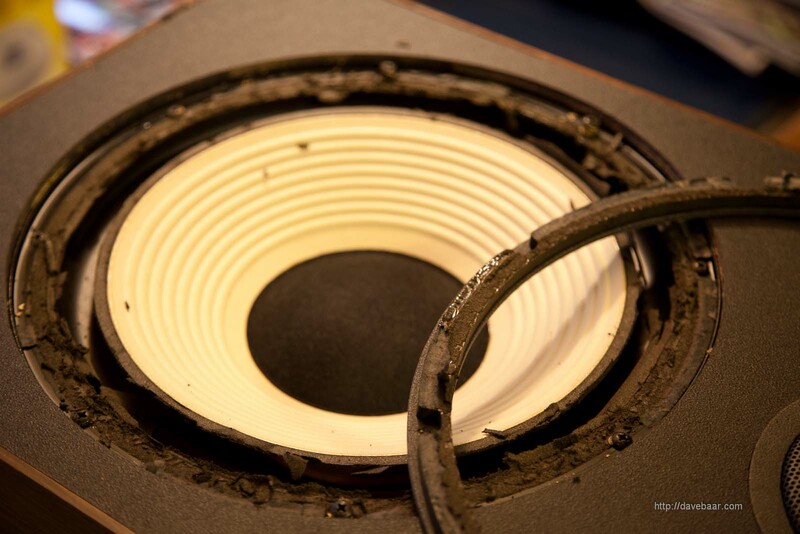 Make sure that you wait 24h for the glues to dry before any heavy duty use of the speakers. 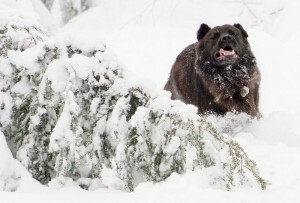 Happy woofing! The Finished Product - Happy Woofers! I have a pair of model 158 BSR speakers. Each speaker has a 15″ woofer and what looks like an 8″ mid-range. Both drivers have foam surrounds that look to be on their way out. What might you suggest to be the least expensive place to get the more pricey 15″ replacement foams? I have heard that the newer foam surrounds are made with better materials. However, no one says how many years the newer foams will last. Could it be that the newer foams have not been around long enough yet to make an accurate call on actual longevity expectation? Paul, that’s a very good question you posed, re foam longevity. I’ve thought about it a little but haven’t researched it enough. 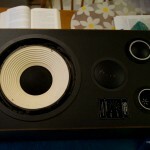 I did google “speaker foam lifetime” and found this forum thread, http://www.audiokarma.org/forums/archive/index.php/t-110937.html and a few similar ones, with some good points about why the manufacturers choose the materials that they do, but I suspect a lot of the content there about “speakers sounding better” is anecdotal nonsense. However, there are a few promising points there about natural rubber rubber rings lasting longer than foam, but you might have a harder time finding rubber rings of the right dimensions. I tend to think you can probably expect at least a decade of use from whatever foam or rubber you use and that is good enough for me since it isn’t a big job to do again after 10+ years. However, I’ll ask a friend of mine, a mech engineer with direct experience in foam and plastics selection for the auto industry, and see if he has any wisdom on this topic. Stay tuned and I’ll post what he has to say when I hear back from him on this one. 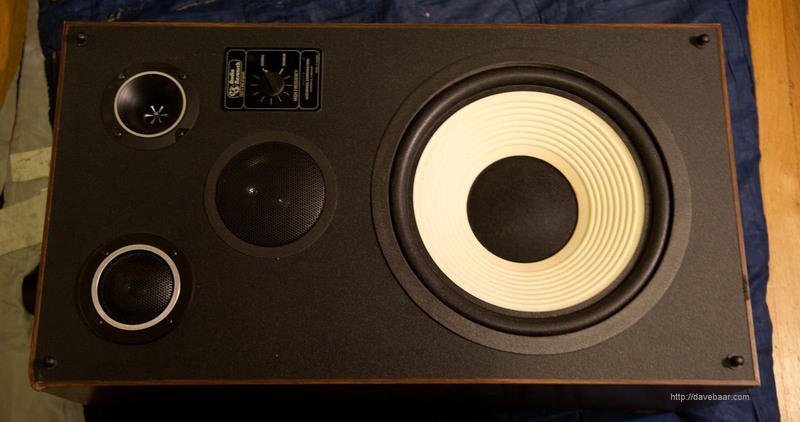 As for sources for the 15″ foam surrounds, all I did was hunt around ebay and a few online sources to see who had foam rings with the dimensions I needed, at what I thought was a good price (<$10), and looked to have a long history as a vendor. That seemed a good sign to look for. Where did you get the glue? With regard to glue used for new foam surrounds. I bough a 16 ounce container of Aleene’s Tacky Glue at Walmart for $3.88 plus any tax. It comes in a round gold plastic container. Smaller sizes of same glue are also available at Walmart. As seen on YouTube, clothes pins are used to secure outer flat foam in place against outer speaker basket. Package of 36 wood clothes line pins were bought at a local dollar store. 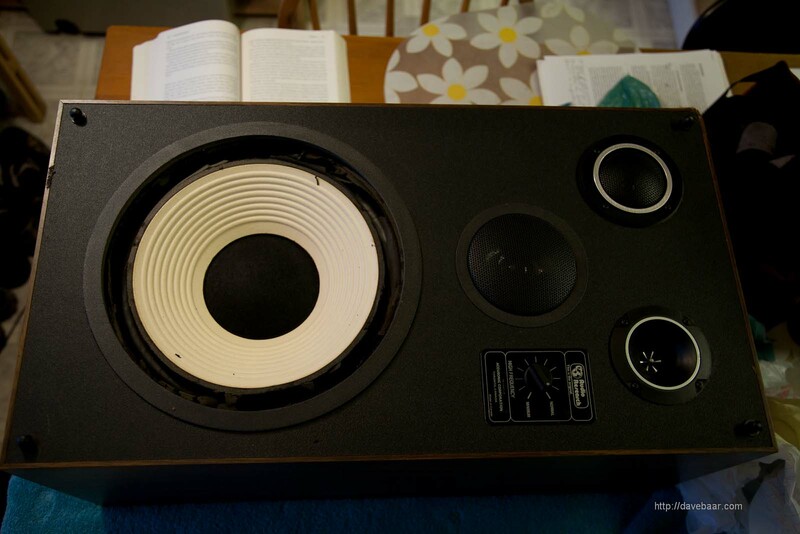 A day or two ago, I completed foam surrounds on two 8″ sealed mid’s for BSR Model 158 speakers. 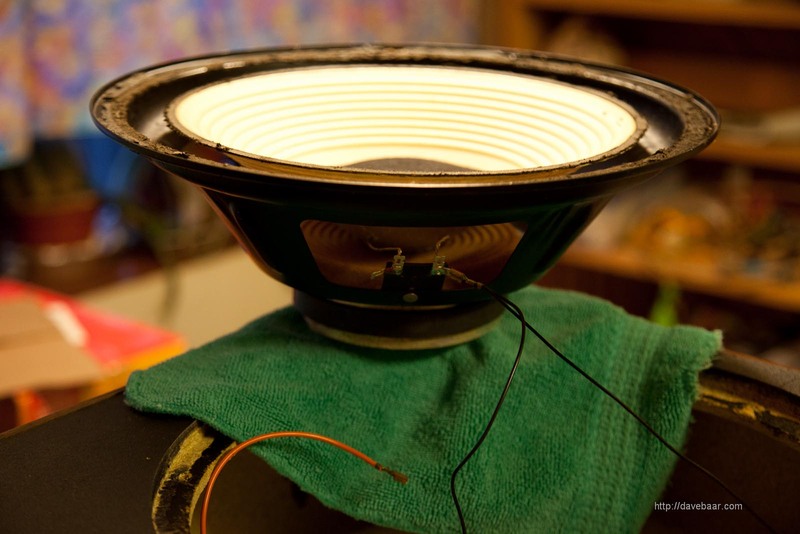 The total price for two 15″ and two 8″ replacement foams, glue and clothes pins came to around $25.00 I have not yet bought the voice coil dome covers. I could not remove the domes intact because of the really good glue used at the factory to hold them. New 100MM/4″ domes will cost about $8.00 including shipping. Paul, thanks for the information.